If previous Buzz! 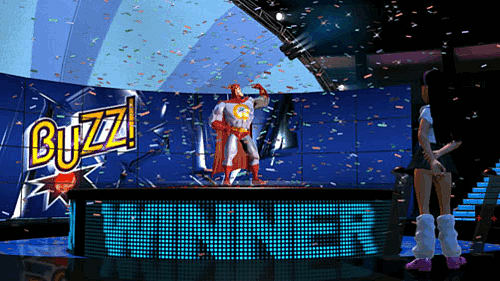 titles have been individual gameshows, this is a whole TV network. Buzz! Quiz TV gives you instant access to almost any subject you can think of, and will be supported by vast downloadable and user-generated content. If previous Buzz! 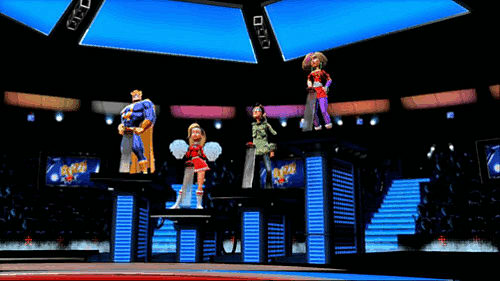 titles have been individual gameshows, this is a whole TV network. Buzz! Quiz TV gives you instant access to almost any subject you can think of, and will be supported by vast downloadable and user-generated content. If there was ever a time to pick up the famous Buzz! quiz show buzzer controllers, this is it. Buzz! 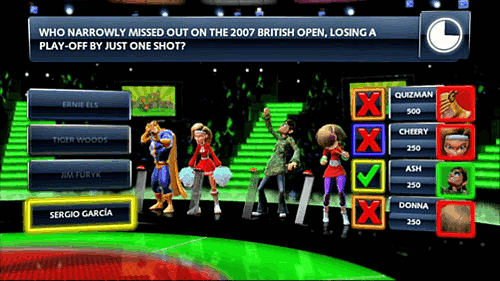 Quiz TV contains a whopping 5000 questions divided into five channels with something for every quiz fanatic to choose from: The Music Channel; The Movies and TV Channel; The Sports Channel; The Knowledge Channel; and The Lifestyle Channel. 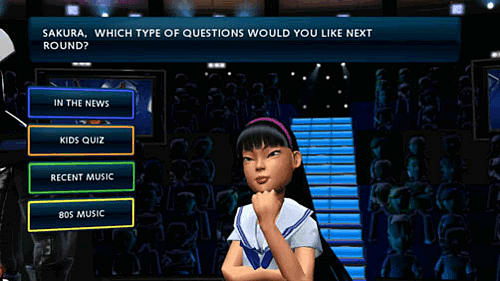 Choose between playing a whole game with questions from a single channel or select 'Channel Hopper' mode to take a random mix of questions drawn from all five. Whichever way you play, the Buzz! studio and lighting - all, of course, in stunning High Definition - will change to reflect the topic that you are being quizzed on. Of course let's not forget the man himself. Buzz - the sharp-suited quiz maestro you know and love is already working hard to update his repertoire of quips and asides for this next-generation title - but even the man himself would be hard pressed to crack wise about any of the following stunning online features that you'll find on Buzz! Quiz TV. Downloadable content: The fun doesn't end with the Blu-ray Disc; it's actually just beginning. The disc is a gateway to a huge variety of constantly-updated downloadable Quiz Packs available from PlayStation Store on the PlayStation Network. Many will be specific to individual countries or even towns - just imagine playing a quiz on your local football team, for example. A quiz based solely on your most recently downloaded pack. A quiz based on the relevant channel (incorporating your new content). 'Quiz Hopper' - a mode that uses all of your existing multi-channel content as well as questions from your new pack.